There’s a big investment in time and money to start a business. When forming a corporation or LLC, a business name must be listed. Nationwide Incorporators describes all the sources that should be researched before selecting a name to be sure no one has established prior rights to use that name. Once a name has been cleared, there are additional steps that should be taken to protect a business name from improper use by others. A great business or product name and creative website can result in big legal fees rather than profits if the right to use a name hasn't been thoroughly researched. A great business or product name and creative website can result in big legal fees rather than profits if the right to use a name hasn't been thoroughly researched, according to Nationwide Incorporators, an attorney-operated incorporation service. Being able to form a corporation or LLC using a specific name may still infringe on another person’s prior name rights. Denise Holmes inherited her grandmother’s fabulous recipe for homemade toffee and decided to start her own business making and selling toffee. After going through endless name possibilities she finally settled on a name. Denise realized, however, that she had no idea where to begin the process of determining whether anyone else already had the right to this name. She contacted Nationwide Incorporators to form a corporation or LLC for her new business. According to Nationwide Incorporators, the process of acquiring rights to use a name for a business or product is complex and often confusing because there are a variety of ways to acquire rights and no one way provides exclusivity for all purposes. “Denise contacted us to form a corporation or LLC for her selected business name but we first explained all the sources that had to be researched to determine if her name might infringe on someone else's rights,” says Mike Ross, a business attorney and founder of Nationwide Incorporators. Ross explained that when a business owner decides to form a LLC or corporation in a specific name, this only guarantees the exclusive right to use that name for a corporation or LLC in that state. It does not mean nobody else has the right to use the same name because prior rights could have already been secured using another method. 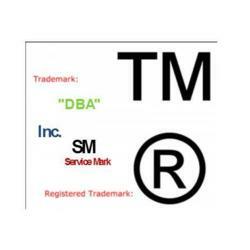 The other methods Ross described for acquiring the rights to use a business name include registering a service mark or trademark, filing a “DBA” or assumed business name, or acquiring “common law rights” to use a business name just by using it over a period of time so that it becomes associated with one’s business. “Before using a business name, a business owner should research the local yellow pages, search engines, the Secretary of State online database listing names of existing corporations and LLCs and, where available, county websites for existing DBA names. Finally, I recommend searching the U.S. Patent and Trademark office website to see if anyone has already registered a mark using your selected name, “advised Ross. Once a name has been cleared for use, Ross recommends taking additional steps to protect a business name through registration of a trademark or service mark. “If a business caters to customers in just one state, a mark can be registered at the state level. For online sales or sales activities in many states, it’s advisable to apply for a federal mark,” said Ross. Nationwide Incorporators is an online incorporation service providing exclusively attorney-prepared, customized and affordable formation documents and services in all 50 states. The company’s offices are located at 2591 Dallas Parkway, Suite 300, in Frisco, Texas. Michael A. Ross is the president and founder of the company. He is a California licensed attorney admitted to practice in 1972 and a graduate of Loyola University School of Law in Los Angeles.